Ian Anderson in Montreal or Quebec City? Inform me about the next events for Ian Anderson. Enroll yourself to our priority waiting list for Ian Anderson to be alerted when new tickets are available. Filling this form doesn't engage you to any purchase. 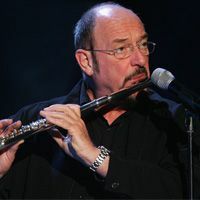 Jethro Tull's Ian Anderson will be performing in Montreal on Thursday, October 14th, 2010, at the St-Denis Theater 1. The British singer and multi-instrumentist will also be playing at the Capitole de Québec on October 15th. Ian Anderson's latest studio album featuring original material, Rupi's Dance, goes back to 2003. Ian Anderson's solo tour will start once Jethro Tull's full-band tour ends. Jethro Tull planned 2 concerts in Canada this summer, both in Ontario (Toronto and Windsor).